1. Giant caterpillar green dragon going down the road (12 January 2012). The float headed towards Pekan Ampang, complete with police outriders. There's a group of people with a smaller dragon coiled around a pole supporting a lighted 'pearl'. 2. Temple brightly lit at night. 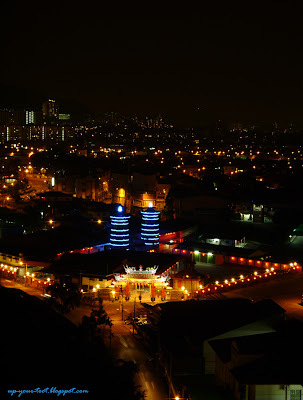 The Ampang Nan Tian Gong lit by red lanterns as well as the lighted pagodas. Ampang Nan Tian Gong all lit up for the coming Chinese New Year. 3. 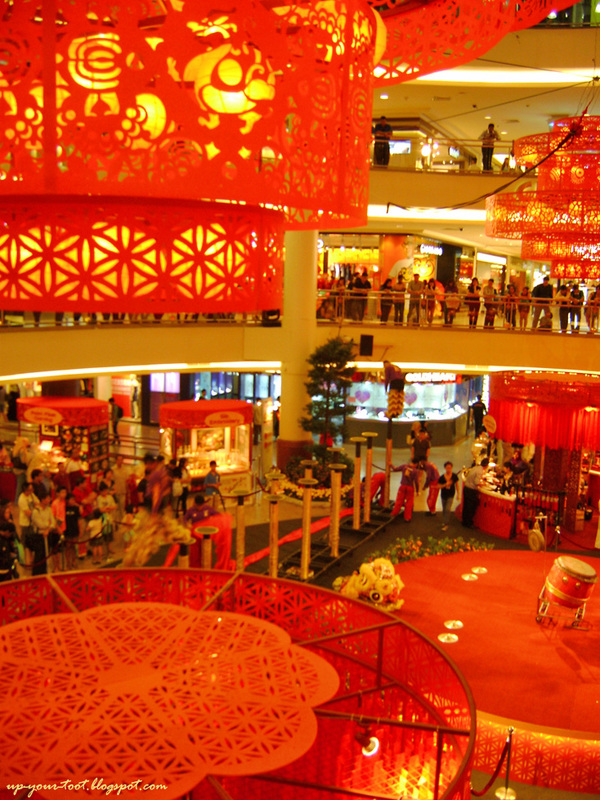 Shopping complexes with Chinese New Year decoration and activities. A large dragon at the atrium of Pavillion, KL. 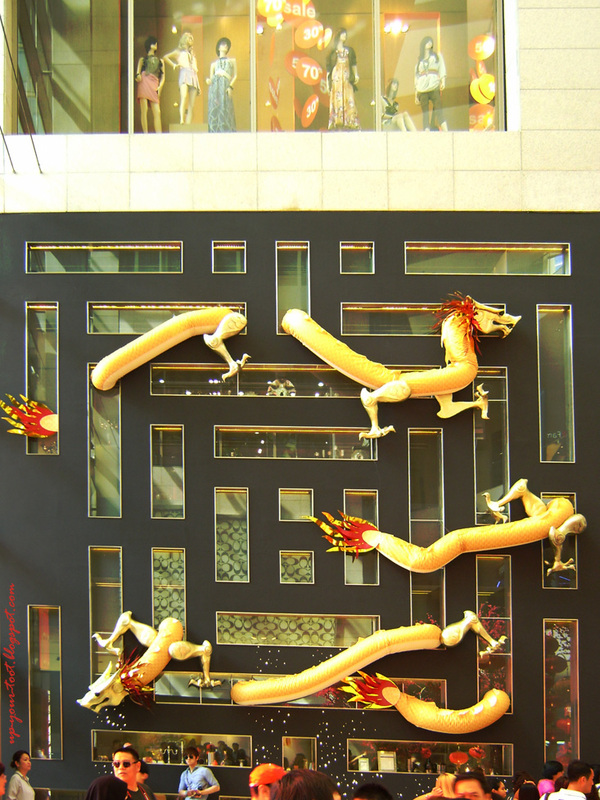 Dragons that 'go through' the walls of Pavillion, KL. 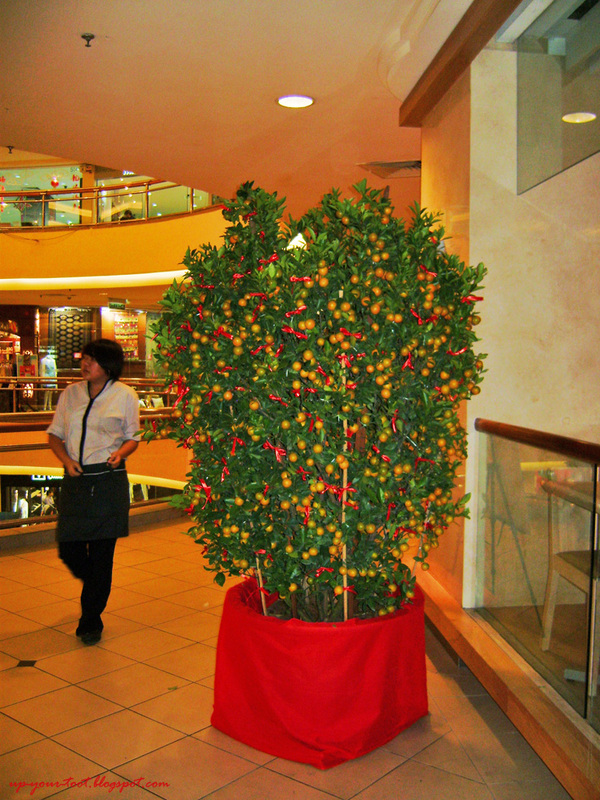 A huge calamansi lime tree at Mid Valley Megamall. 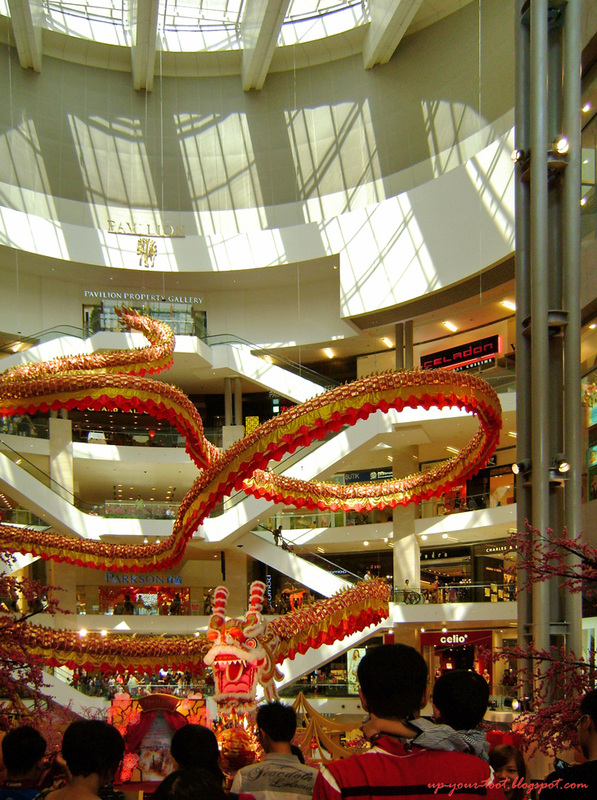 A lion dance troupe getting ready for a performance at the Centre Court of Mid Valley Megamall. Chinese New Year decoration at Gardens Mall, Mid Valley, KL. 4. 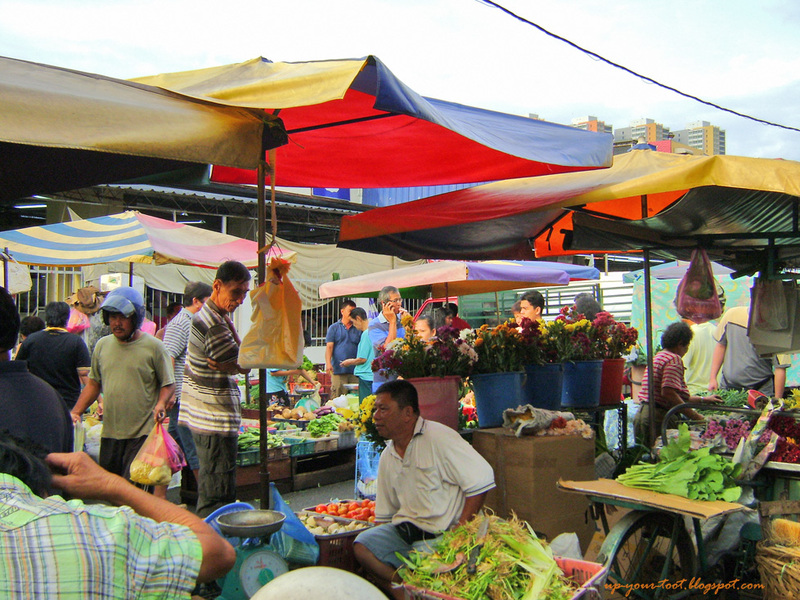 Local markets packed with last minute shoppers. 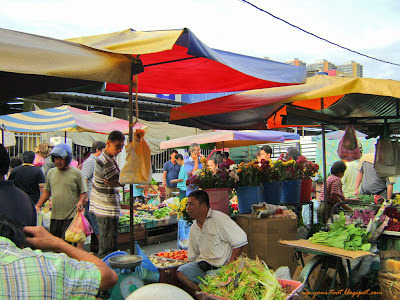 I went to Jelutong Market in Penang on the morning of the 22 January 2012 and found the market was jam-packed with shoppers doing last minute shopping. Market seller selling pumpkins and calabash gourd (Lagenaria siceraria) as Chinese New Year decorations. 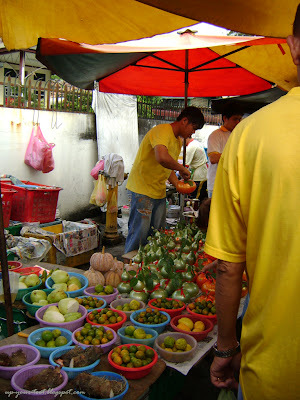 Considered auspicious by the local Chinese, the gourds and pumpkin by this seller has been sprayed with something to make it look shiny and plastic-like. Flowers on sale in buckets. Decorative red cloth for altar tables and doors. 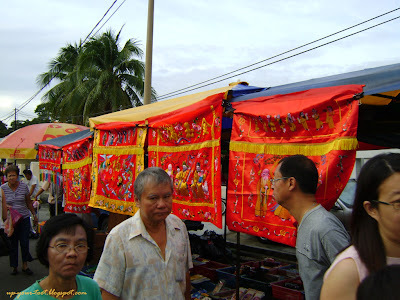 Various Chinese New Year decorations on sale at Jelutong Market, Penang. 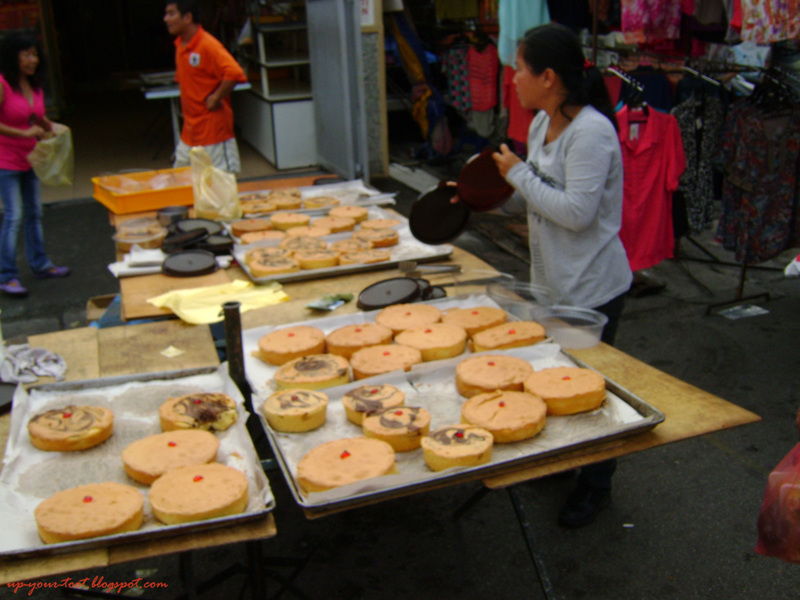 New Year cake - this is something that I have not seen for some time. It is just a butter pound cake with a cherry on top. Hmm, even the God of Prosperity goes to the market. 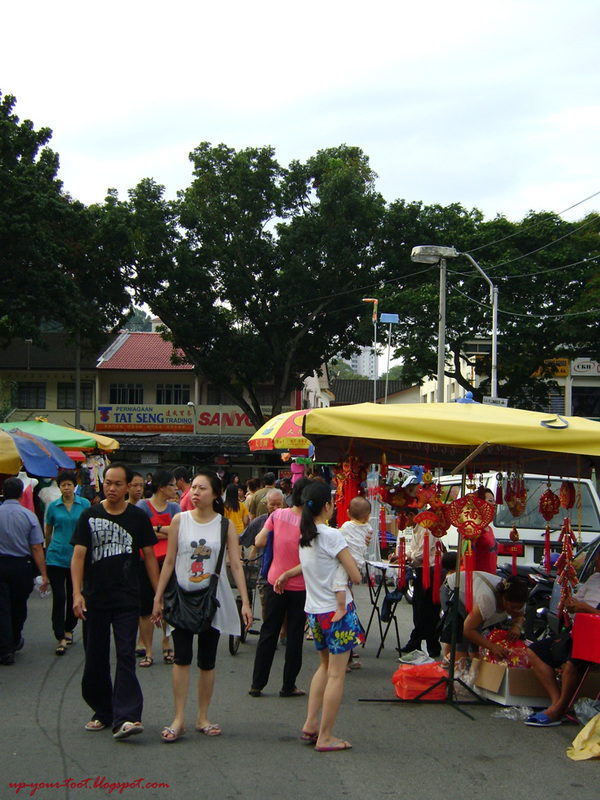 Wow, thanks for this jalan-jalan around town before the CNY bid day. 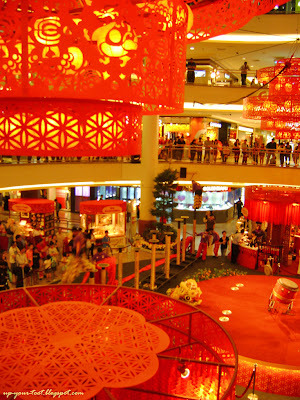 This year I was so busy, I didn't have time to do view the giant dragon at Pavillion nor the giant kat at MV. 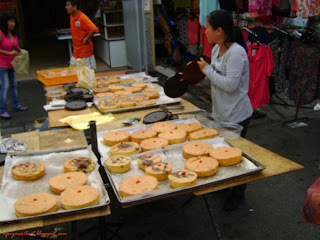 It is good to have some pics for rememberance. Glad you like it. Was there because I had visitors and MPH was having a clearance sale. 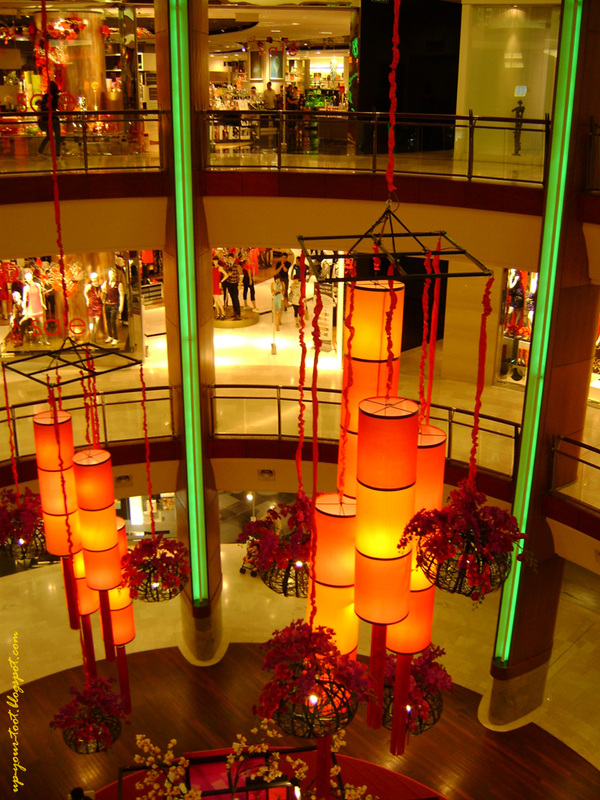 Hope that after CNY you will have a more relaxed time. 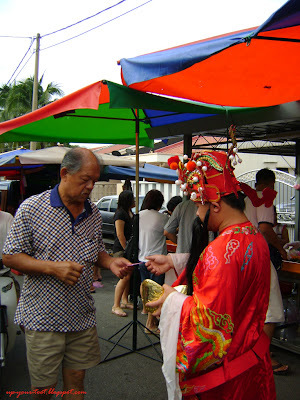 CNY was hectic for me too, with so many unexpected things going on back home. Now I have tonnes of photos and no time to do anything about it.